As consumers, there is a lot about the world of credit reporting which feels unfair. For starters, the fact that the credit bureaus are permitted to collect information about you, compile that information into reports, and sell your information to others for a profit – all without any permission being required from you – can be downright infuriating. Yet the 3 major credit bureaus (Equifax, TransUnion, and Experian) earn billions of dollars every year doing just that, and there is nothing inherently illegal about any of it. 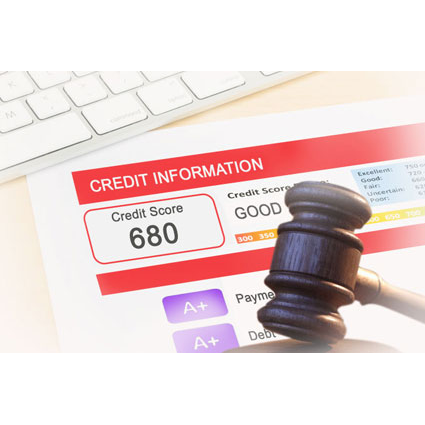 You may not be able to stop the credit bureaus from collecting and selling your information; however, you do at least have some protections, which are afforded to you in an effort to keep things fair. The federal government realizes the importance of your credit reports and the significant impact those reports can have upon your financial well being. As a result, Congress enacted the Fair Credit Reporting Act (FCRA) in 1970 and has amended the law a few times since then to help look out for the interests of little guy (that’s you!). The following are a few of the most important protections you enjoy thanks to the FCRA. An amendment to the FCRA known as FACTA (Fair and Accurate Credit Transactions Act) gives you the right to claim a free copy of each of your 3 credit reports once every 12 months. You can claim your free annual credit reports online at AnnualCreditReport.com. It is important to check your credit reports for accuracy often and your free annual reports are a great place to start. If you believe that an item on your credit report is incorrect, the FCRA gives you the right to dispute that information. Whenever you submit a dispute the FCRA generally requires the credit bureau(s) to investigate your claim within 30 days. Each credit bureau is legally bound to delete any disputed item that cannot be verified as accurate. Remember, the FCRA does give you the right to dispute questionable accounts completely on your own, but it is also completely legal to hire a credit professional to advise you and handle the dispute process on your behalf. CLICK HERE to schedule a free credit analysis with a Financial Renovation Solutions team member. Thanks to the FCRA, most of your past credit problems cannot legally follow you around forever. The FCRA imposes credit reporting time limits on the majority of the derogatory information found on a credit report. In general, most negative information is required to be purged from your credit reports after somewhere between 7 – 10 years, depending upon the type of item. It is worth noting that collection agencies have sometimes been known to try to get around these credit reporting time limits by engaging in an illegal practice which is referred to as “re-aging.” If you have an item on your credit report which you believe has been there for longer than is legally allowed, you can dispute the item or hire a credit repair professional to help. You may not be required to give permission for the credit bureaus to collect information about you, but the FCRA does place limitations on who is allowed to access your credit reports. The credit bureaus are only allowed to share your information with entities that have what is referred to as “permissible purpose” under the FCRA. Only those with a valid need may be granted access to your credit information. This means that your credit card issuer, the lender with whom you just applied for financing, and your insurance company could all potentially be allowed to view your credit reports. However, your jealous ex or nosey neighbor will be denied access. CLICK HERE, call 214-856-0068, or email info@FRSCredit.com to start renovating your credit and your lifestyle today.